Culture Kitchen's past site was focused on highlighting our past product, cooking classes, our cooks and their recipes. Once pivoting to a monthly ethnic cooking kit subscription, in a two week period I re-designed the site to focus on quickly communicating the product and experience of the cooking kits that we were selling. After quickly generating concepts through hand sketching and a combination of Adobe Photoshop, Illustrator and InDesign, I used lean user testing techniques to test a handful of site flows with potential customers. The results from our customer intercepts provided key criteria for design refinement that lead to the site design. 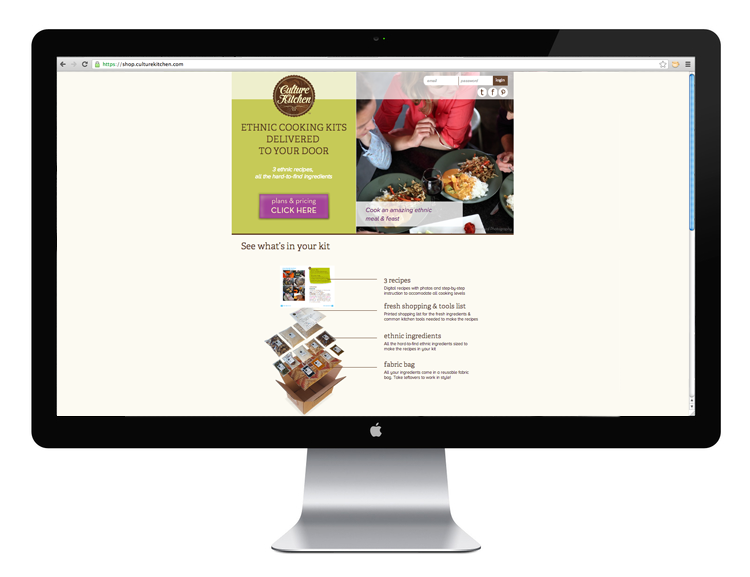 I developed all of the wireframes, site content and worked closely with a developer to build the our cooking kits store.